100% Wool Cutting Pad is a smooth operator! Meguiars Solo Wool Heavy Cutting Pad works with Meguiars Solo Cut & Polish Cream #86 to restore smooth, swirl-free paint! The 100% heavy cut wool pad removes sanding marks and imperfections with a shorter wool pile and smaller pad size. Overall, Meguiars Solo Wool Heavy Cutting Pad is a user-friendly compounding pad for advanced defect removal with the Solo One Liquid System. The Solo System wool pads specifically designed to work with the Cut & Polish Cream and the W66 "Easy Buff" Backing Plate. Meguiars Solo 7 inch Wool Heavy Cutting Pad is flat vs. what could be described as a "dish pad", like the shape of many wool pads. The flat pad design expands the cutting area to reduce buffing time compared to curved wool pads. When used with the W66 Easy Buff backing plate, the user can use Meguiars flat wool pad to buff up to the edge of panels and actually "feel" where the edge of the pad is while keeping the pad flat to the surface. With curved pads, the user is often tempted to tip the pad or buff passed the edge of the panel in order to buff in this sensitive area. Meguiars Solo 7 inch Wool Heavy Cutting Pad has a 1 inch pile length. Most wool pads in the industry are 1.5 inch or longer. The longer length is not needed for defect removal capability but exists to provide the user with a soft cushioned buffing feel and to provide a safety against "burning edges." Meguiar’s 1 inch pile removes defects more effectively while the W66 backing plate provides the cushioning needed for safer buffing. The Meguiars Solo 7 inch Wool Heavy Cutting Pad is smaller than the industry average for rotary pads. All other things being equal, a 7 inch diameter buffing pad will swirl less than an 8 or 9 inch pad. A 7 inch pad is easier to use than a larger pad. With today’s cars having more contours, grooves, and body lines, a 7 inch pad is easier to negotiate these areas compared to a larger buffing pad. Remove sanding scratches and heavy swirls with Meguiars Solo 7 inch Wool Heavy Cutting Pad. The smaller size and shorter pile deliver smooth, swirl-free results. rotary polisher instructions......i polish 6-10 cars a month and i'v been using this product in combination with meguiars m105 compound since 2007.great for removing up to 1500 grit scratches on any clear coat. 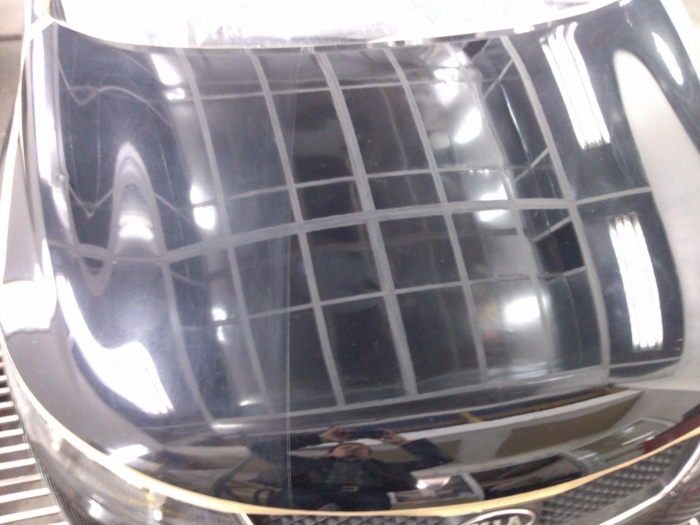 use it as a 1st step with pretty much any fine cut compound, then follow with a polishing pad and for example m 205 finishing polish or 3m's ultrafina to remove swirlmarks created by solo heavy cutting pad.last step is a hologramm removal created by polishing pad,this step done by hand,clean microfiber and same polishing paste as in step 2,about 1/4 oz per panel,using side to side motion only,apply medium pressure...most important is a 1st step(compounding) do 1 panel at a time and check your job using m34 final inspection and clean microfiber...i clean my wool pad with spurr after each panel,that prevents clogging and you get less swirlmarks.